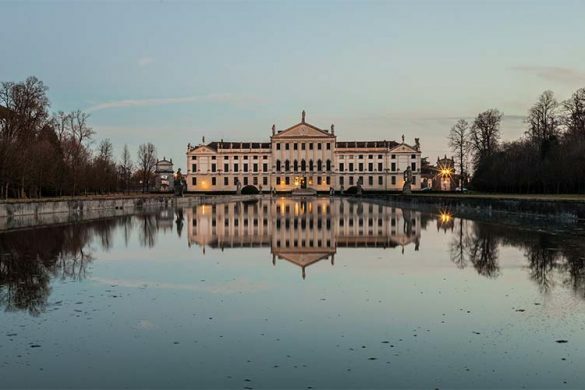 Vicenza, the city of the Palladian villas built by famous Renaissance architect Andrea Palladio, boasts the largest number of UNESCO World Heritage sites. 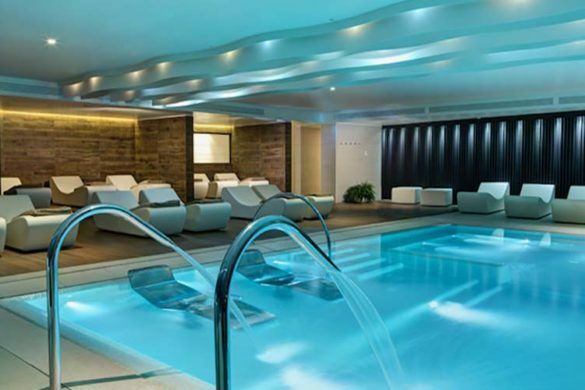 The town alone, features thirty nine, including palaces, villas and churches, with an additional 16 villas in the province, bringing the total to forty seven. The heart of Vicenza is the majestic Palladian Basilica, renovated in 2012 and surrounded by magnificent aristocratic palaces including the Loggia del Capitaniato, the neoclassical Palazzo Chiericati and Casa Pigafetta (home of the explorer Antonio Pigafetta), with its elaborate Gothic decorations. 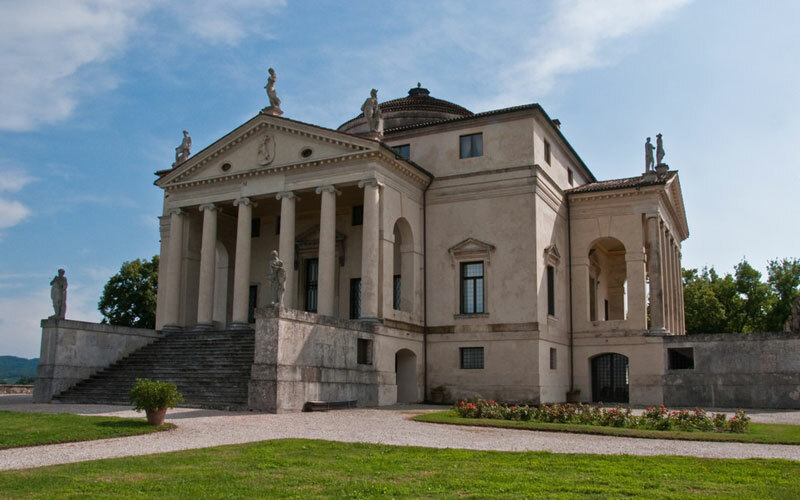 Just outside the historic centre, the Rotonda, the most famous villa designed by Palladio is definetly worth visiting (see main picture). If you want to learn everything on Andrea Palladio, you should visit the Palladio Museum hosted within Palazzo Barbarano, designed by the architect himself (Contra’ Porti, 11, Vicenza T: + 39 0444 323014 www.palladiomuseum.org). 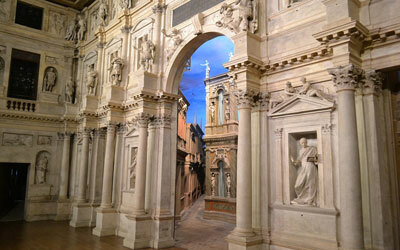 One of Vicenza’s artistic marvels, the Teatro Olimpico was designed by Andrea Palladio in 1580. It is the first and oldest covered ‘Teatro Stabile’ (State theatre) in the world. Its interior simulates the outdoor setting of classical theatres, with a monumental rectangular proscenium, built to host its inaugural performance in 1585. Seven wooden perspective scenes depicting the streets of Thebes depart from here in a sunburst pattern. Included in UNESCO’s list of World Heritage Sites in 1994, it continues to host performances and concerts.